BigBig Home Single Bathroom Towel Hook Coat Hook, Clothes hook Brass Oil Rubbed Bronze Finish Wall Mounted. Our towel hook is safe and durable. There are five kinds of surface treatment for your choice: Gold Finish, Rose Gold Finish Oil Rubbed Bronze Finish, Chrome Finish and Antique Brass Finish. There is always a perfect match with your home. [HIGH QUALITY]: Our towel hook is made of the best material of solid brass and the metal is sturdy and smooth, so it won't snag fabric or material, ensuring quality and longevity,will not rust. [MULTI FUNCTION]:Our towel hooks can be mounted in the hotel, living room, bathrooms, bedrooms, kitchens, hallways, entryways, you can hang coats, hats, handbags, key, umbrellas, towels or robes, etc. [EASY INSTALLATION]: Packing with all hardware required for coat rack hooks installations,screws caps,expansion boltsand anchors,ect,easy to installation. 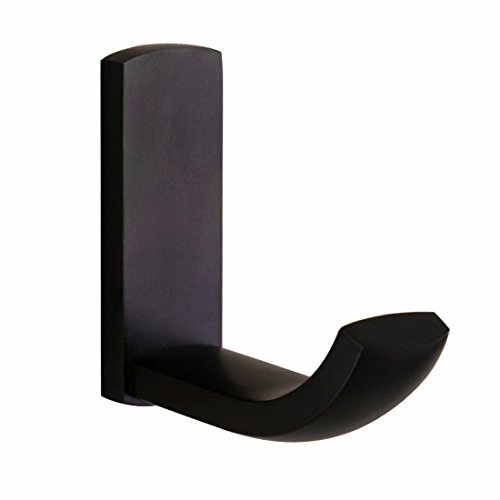 EASY TO CLEAN: You¡¯ll enjoy cleaning this decorative towel hook in no-time.